It’s important to understand how perspective works. With that in mind, I recommend that everyone start by reading chapters 1 through 5 of the book, preferably in order. Perspective is a lot more than a collection of recipes and techniques that help you draw specific objects a certain way. Once you understand how perspective works, you’re better able to think through the problems that your specific drawing presents. Once you’ve developed a solid foundation as to how everything works, learning the lessons in the remaining chapters gets a lot easier. 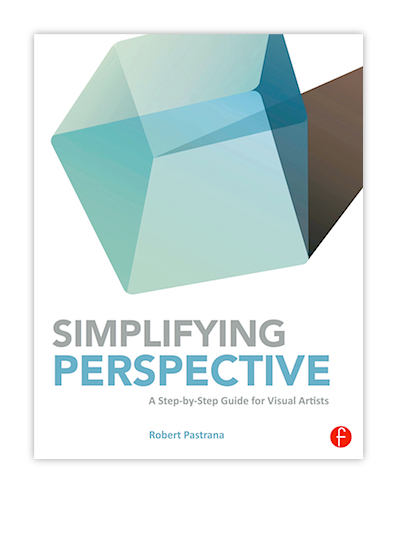 If you’re new to perspective, you should probably go through the book in order. If you have some experience with the subject matter, feel free to approach the remaining chapters in any order you like. Click on each chapter heading below to find out more. • Why a Cube and not a Box? Plotting Ellipses – Give Me Points!